Be the first to hear about their new releases and deals. Download the Booksprout app and search for Imani L. Hawkins today! 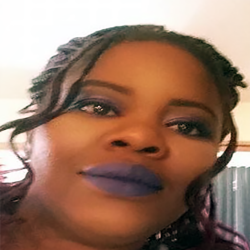 Imani L Hawkins is a writer of all things supernatural, paranormal, and urban fantasy. Growing up in New Mexico, the land of enchantment, she's always surrounded by beautiful scenery that inspires most of her tales. Caring for her two children with the support of her loving husband, she's found the courage to write stories filled with intricate plot lines and characters she's sure anyone would be able to relate to.